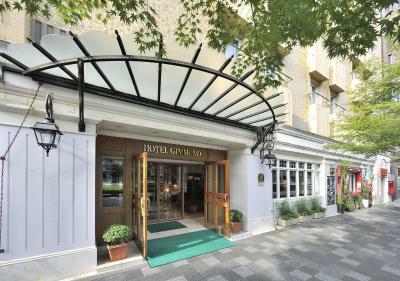 Lock in a great price for Hotel Gimmond Kyoto – rated 8 by recent guests! Good location, fair price & well kept property. Staff was very helpful with hailing taxis and mapping sites. The staff was nice and helpful. The hotel is well located near a metro station. Wonderful staff and they all speak good English! "Classic" hotel feeling to the place. Great location and good price. Very comfy room and spacious. 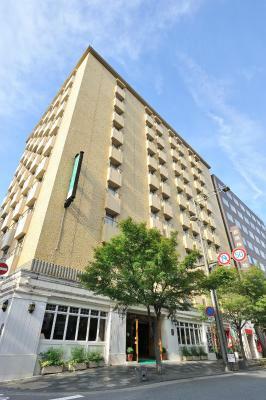 Great location, well-situated in central Kyoto near major metro stops. Helpful staff. Extremely helpful staff who spoke good english. Lovely rooms (although budget they were excellent) everything was great! We both had stayed at Hotel Gimmond in 2011. It was simple, somewhat worn and a bit old fashioned. The front desk struggled with English, but the location near the Karasuma-Oike subway stop was excellent and the price was moderate. Plus the rooms were bigger than average for this type of hotel and included a small table with low chairs for enjoying your morning tea.. We had a great view of the eastern mountains and a folded yukata on our bed. There have been a number of improvements since 2011 . The rooms are still simple, but a bit more refined. The view, table and yukata remain. There are new elevators and the front desk is better at English and very helpful. WiFi and outlets were fine. And the price is still right. Helpful staff and good central location close to a subway station in Kyoto. Nice Ambience, very polite staff, and of course value for money. The location is just right, walking distance from the main downtown area and yet away from the rush! 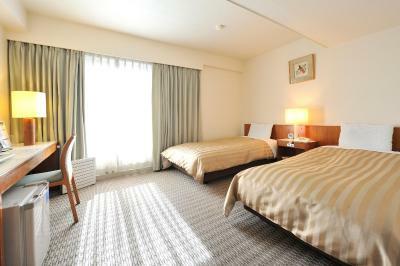 Relatively large room as normally used to in Japan. The hotel is fairly old, the using fo ordinairly room keys (instead of key card) feels positively retro. 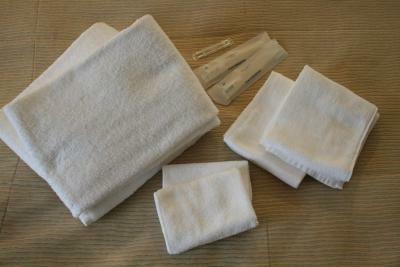 The overall facility is well maintained and clean. 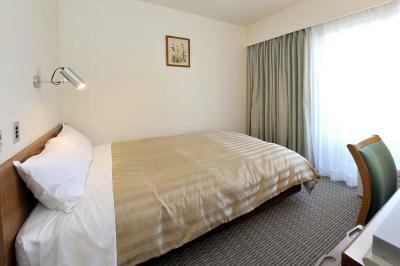 Hotel Gimmond Kyoto This rating is a reflection of how the property compares to the industry standard when it comes to price, facilities and services available. It's based on a self-evaluation by the property. Use this rating to help choose your stay! 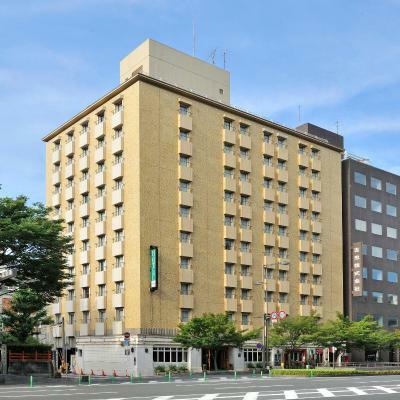 Only a 2-minute walk from Karasuma Oike Subway Station's exit, Hotel Gimmond Kyoto offers nonsmoking rooms with free WiFi in Kyoto’s city center. 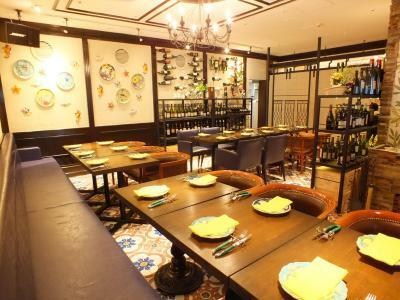 The hotel features stylish Japanese and Italian restaurants. 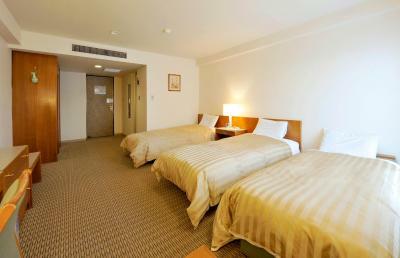 The bright, air-conditioned rooms feature pleasant neutral tones. A flat-screen TV, electric kettle and refrigerator are available. The private bathroom comes with a bath, toothbrushes and hairdryer. The reception desk at Gimmond Hotel Kyoto is conveniently open 24 hours. 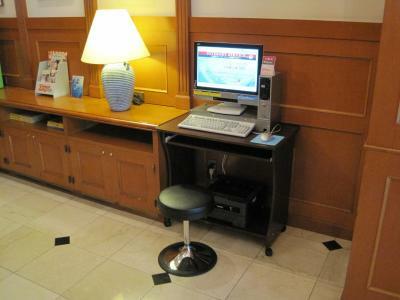 An internet terminal and massage services are available, for a fee. 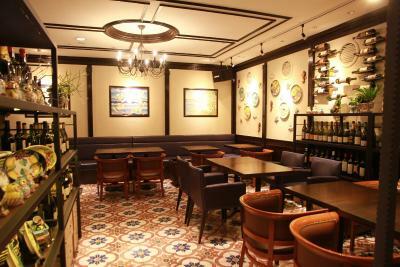 Restaurant Bella Rossa Daniel’s serves Italian dishes and wines, while delicious local cuisine can be sampled at casual Japanese restaurant Choji-ya. 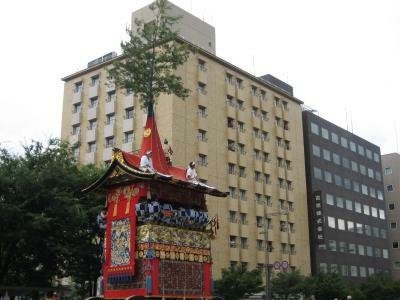 The Gimmond is a 7-minute walk from Honno-ji Temple and a 15-minute subway ride from Kyoto International Conference Hall. JR Kyoto Train Station is a 10-minute drive away. 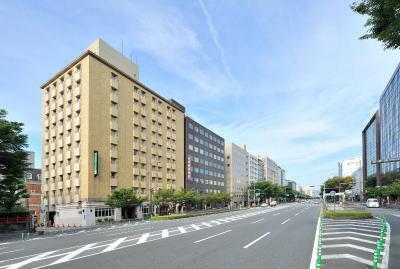 From Karasuma Oike Subway Station's exit, it's around a 5-minute walk to the train platform. 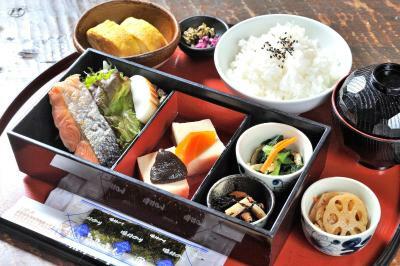 뀐 Located in the real heart of Kyoto, this property has an excellent location score of 8.4! 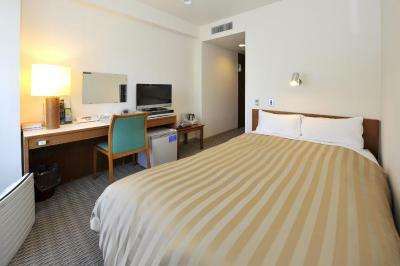 When would you like to stay at Hotel Gimmond Kyoto? This bright, air-conditioned room features pleasant neutral tones. 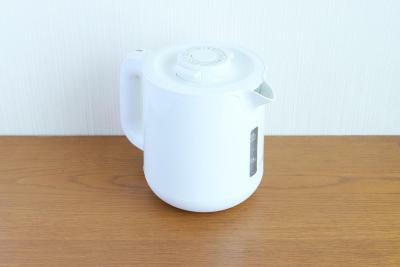 Guests can sip a cold drink from the refrigerator. Free wired internet access is also available. There is no capacity for an extra bed in this room. This bright, air-conditioned room features pleasant neutral tones. Guests can sip a cold drink from the refrigerator. Free wired internet access is also available. Fitted with a semi-double bed (47 in wide). This bright, air-conditioned room features pleasant neutral tones. Guests can sip a cold drink from the refrigerator. 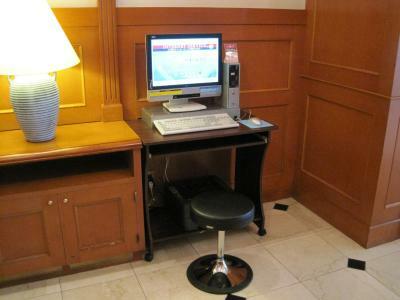 Free wired internet access is available.There is no capacity for an extra bed in this room. This triple room has an electric teakettle, a sofa and soundproofing. It includes 2 single beds and 1 extra bed. House Rules Hotel Gimmond Kyoto takes special requests – add in the next step! 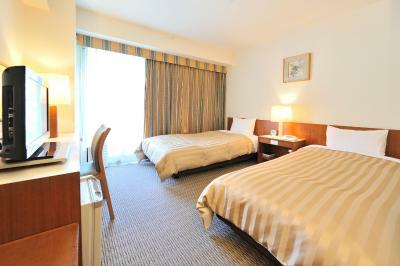 One older child or adult is charged JPY 4000 per night in an extra bed. Hotel Gimmond Kyoto accepts these cards and reserves the right to temporarily hold an amount prior to arrival. Please note that all hotel rooms are nonsmoking. The property will be going through renovation works in guestrooms from 12 May 2019 until 31 July 2019 between 10:00-17:00. During this period, guests may experience some noise. The facility is old and out dated. Bathrooms are small and very old (but clean). Male staff at restaurant are rather rude to (or mostly ignore) non-Japanese customers (luckily, female staff were very pleasant and helpful). Fantastic location, friendly English-speaking staff, rooms are quite large, reasonable Italian restaurant attached (with 500 yen happy hour drinks). We were able to leave our lugagge there in the morning. Nice staff. Room okay for two big lugagges. I wish breakfast was always included. 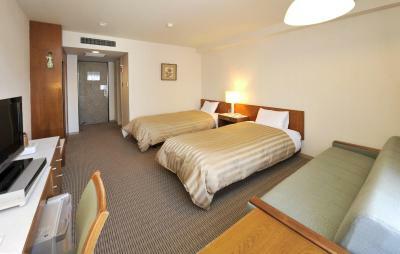 The small double room really is tiny. Central location. The hotel has prepared maps showing what's in the neighborhood (restaurants, attractions). There are several convenience stores close by. Continental breakfast food choice can be improved but what is on offer are of high quality. Restaurant space is rather tight at peak times. 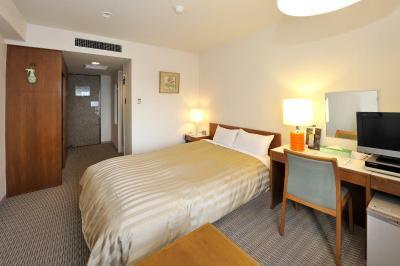 Staff very polite and helpful, great location to train stations, shopping and food outlets. The double bed was narrow and hard, pillows were a killer! Bathroom is a 4’ x 4’ square not including the tub. The entire room is a tight squeeze for 2 people but 1 night at a good price isn’t unpleasant. Moved the table and chair to the side to make More room and it was pretty spacious (for japan). Good heating. Always clean and tidy. Very very friendly staff. Great location, 10 min walk to markets and night life and lots of food and train stations. 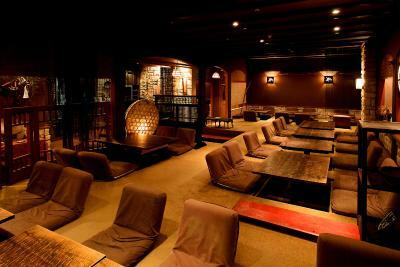 Location is amazing, right in downtown Kyoto and a couple meters from the subway. 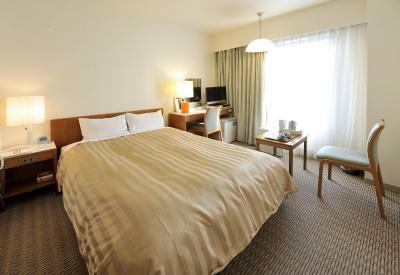 The rooms are comfortable and the staff is very kind. Most of the reviews here has mentioned about the renovation works. It’s going to last till March 2019. My room was on the 5th floor. While I wasn’t disturbed by the renovation, I was disturbed by my neighbors instead. The walls are so thin, you could hear who’s in the shower and who’s in the loo, which countries your neighbors are from. Also, my room was facing the street. Great views but bad soundproofing - had street noise kept me up for most of the night. Price-wise, it’s actually pretty expensive; this was my last stop of a 13-day trip in Japan and its the worst and most expensive hotel accommodation I’ve ever had. I personally recommend spending more for a better place. It was near to a subway station that was an interchange with 2 lines. Staff was really helpful and majority could speak English pretty well. Room was comfortable and neat. Gimmond is an infallible choice in Kyoto. 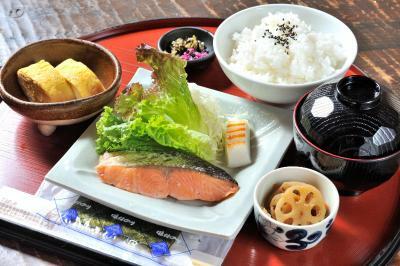 Perfect location, close to Teramachi, Gion, Kokyo, Nijojo, reasonable price, tasty japanese breakfast. Good connection to train terminal. You never make wrong when choosing Gimmond. The room smelled of smoke, and felt old in a way. They added an extra fee on our stay. The AC was extremely loud and changed its sounds every minute so you could never get used to it. Furthermore there were renovation works and even so they were supposed to start at 10am they already startet working at 8.30 and it was very loud. Thr room was very small. Even for japanese standards. We could not open even one suitcase in there. The room was sold as a non smoking room but it was definetly a smoking room in its live before because you could still smell it. 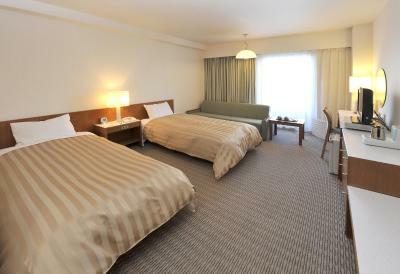 Good location close to metro station and also close to Imperial Temple and garden, some museums and shopping aria.